Almost nobody expects to become a full-time smoker when they have their first cigarette. And it's rarely what you expected once you get there. 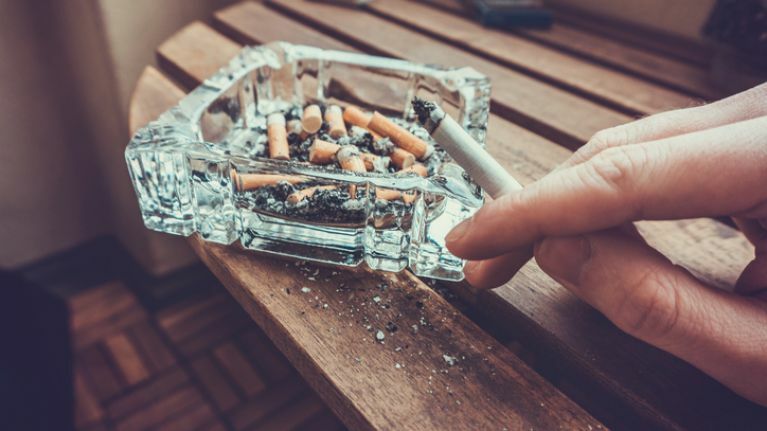 Most smokers have considered quitting at some stage, with good reason. Here's a quick round-up of the annoying realities of being a smoker. Just because you can’t smell it, doesn’t mean it isn’t there. That stale tobacco stench is never too far away and you’ll always exude a faint whiff of Eau de Ashtray. Oh god, the money. If you want to depress yourself, simply get out a calculator and a piece of paper and work out how much you spent since you started smoking. Then go and have a little cry. If you’re constantly popping in and out for a smoke, it’s almost impossible to keep up with the conversation. This must be what it’s like to get old. Every smoker has had the fear when they start to run out of cigarettes at night time. It says something about your state of mind that a one-hour round trip to the shop at 11pm is more inviting than sitting up with an empty box of cigarettes. Even if you only take one cigarette break when you go to a concert, you’re almost guaranteed that you’ll end up missing your favourite song. You'll inevitably catch the last few bars as you come back into the venue. It’s like the smoker’s equivalent of Murphy’s Law. Random strangers judge you when you smoke on the street. Parents keep their children away from you. Even your friends will move if they find themselves standing downwind of you. It's a brave new world and smokers aren't invited. Most smokers have at least 50 types of cough that they employ on a daily basis. That includes everything from the constant, hourly splutter to the five minutes spent hacking up a lung first thing in the morning. We don't really need to elaborate on this one, do we?